Life insurance is part of having a sound financial plan, and it will protect your family when you pass away. Indeed, if you have loved ones relying on you for financial support, then life insurance requires serious consideration. That’s the best age to buy life insurance. You should consider getting life insurance at any stage of the life cycle, regardless of age. Nobody knows what tomorrow will bring, and we can go through a life-changing event when you least expect it. These sort of events – like a death – carries significant financial responsibilities. That is why so many people look at life insurance as an investment. You make provision for those left behind and whose lives will change because you’re no longer there. So when asked – ‘what is the best age to buy life insurance?’ the answer is simply – As soon as you can afford to. When a life insurance company considers an applicant, they look at the risks. You’ll pay much lower premiums in your 20s and 30s. Once you reach your 40s, with illnesses starting to manifest, buying life insurance becomes that much more expensive. The younger and healthier you are when you start life insurance, the lower your premiums will be. Having life insurance is important as it is a means of protecting your family and ensuring they can meet their financial obligations. Taking out life insurance, therefore, shouldn’t be ‘should I or shouldn’t I’ but rather ‘how much should I take out?’ Insurance brokers will ask you about your age, your gender, your health and the type of work you’re in. Your answers will help them arrive at a monthly premium for you. 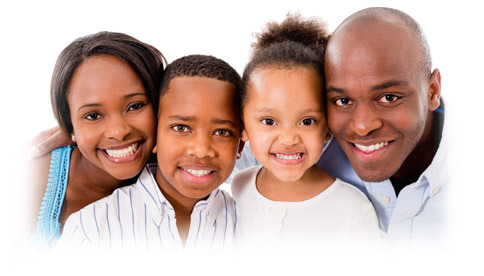 South Africa has many reputable life insurance companies. Do research on the different ones and select a company that has a solid financial track record. The type of cover you qualify for will also determine what benefits you stand to take advantage of. You might think that life insurance covers every area of death, but even in death, there are categories. You might have natural death cover but have you thought about cover if you were killed in a car accident? Young people die in accidents every day in South Africa. As a young person, over the weekend you might go horse-riding, skydiving or white river rafting and all these activities are risky. You can be killed in an accident with these dangerous activities. Payment might be refused for instance if you didn’t take out cover specifically for extreme sports. Always understand your life insurance cover. Compare life insurance quotes thoroughly and don’t buy a product on price alone. Look at features and benefits. If you take life insurance now, you are covered immediately, and it gives you an incredible feeling that young though you may be, you’re covered for all the different seasons of your life. The amount of life insurance cover you buy will depend on your age, what you can afford and your current circumstances. Being a smoker does affect your life insurance quote, and it can cost you as much as 100% more than a non-smoker. Also, if you are HIV negative, there’s hope – you can still have life cover. You just need to check your life insurance company’s terms and conditions in regarding this. There is no time like the present to invest in life insurance – who knows what your tomorrows will bring?